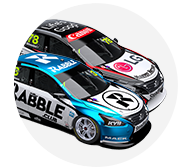 Michael Caruso shaded Nissan Motorsport team-mate Rick Kelly to top Practice 5 for the 2018 Supercheap Auto Bathurst 1000, in another session affected by rain. Laps in the very closing stages put Caruso and Kelly into first and second, separated by 0.0166 seconds courtesy of the former's 2:26.2070s in the last running before ARMOR ALL Qualifying. The Altimas edged ahead of Brad Jones Racing's Nick Percat, who was also within 0.0638s, and a pair of Tickford Racing Falcons. 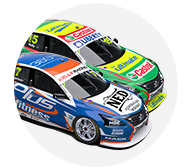 Neither Red Bull Holden set a time, while mechanical problems continued for Craig Lowndes' sister Triple Eight Commodore. After Practice 4 finished with dry running, more rain arrived at Mount Panorama between sessions. That meant wet tyres were the order of the day again, frustrating teams looking to get stuck into dry-weather running. Tickford held the top four spots through the first third of the hour, Chaz Mostert's 2:29.7265s leading Richie Stanaway, Cameron Waters and Mark Winterbottom. The team had repaired Winterbottom's Bottle-O Falcon after Dean Canto's late crash in Practice 4. Percat displaced Winterbottom in fourth approaching the halfway mark in his Repco Commodore, by which time only 14 cars had set laps. Waters lowered the benchmark to 2:29.3805s shortly afterwards, as Percat improved into second to be his closest challenger, 0.2797s adrift. Stanaway recorded a 2:26.7148s with 10 minutes left on the clock, which stood until Percat's 2:26.5862s four minutes later. As the chequered flag loomed, Caruso moved his Industrial Athlete Altima into the top spot. His 2:26.2070s had the measure over even later efforts for Kelly and Percat. “We all sort of guessed yesterday that the wet weather would be done by now, so I just thought what have we got to lose?” Caruso said. “We’re here, we’ve got tyres, we’ve got petrol, let’s get out there and go around just in case it is wet in quali. “It was a good little hitout. We’ve had our fair share of dramas, we’ve already had an engine change, but it’s obviously running well now." Percat said: “I wanted to get out there. It’s part of my process here, I like to build into the weekend and we haven’t really had the chance to do that. 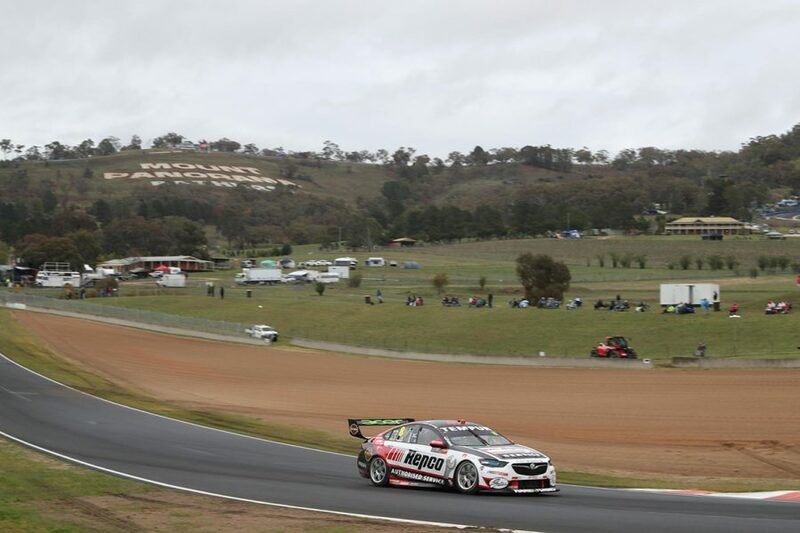 “Even though it’s wet it’s still getting familiar with Bathurst. Going that speed across the top, it’s important to build yourself ready for quali. “We actually did some big changes to try and get some feel out of the car in the wet, to try and get some margin, because when the car slid yesterday it just bit really hard. Behind the top three, Stanaway sat out the closing stages and settled for fourth, with Mostert fifth, Waters 10th and Winterbottom 15th after limiting their mileage. 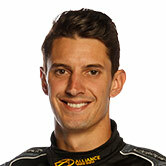 “We just made a small change for the wet, finally,” Stanaway said. “Obviously we’re expecting it to be dry, but it was another wet session. “I was pretty comfortable out there, which is why we kept doing laps. Others must feel uncomfortable which is why they parked it up. 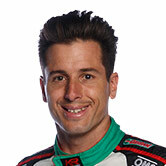 “For whatever reason the car seems very predictable and stable, which is what you want in the wet. 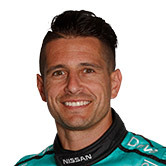 Andre Heimgartner made it three Nissans in the top six, while David Reynolds and Shell Ford pair Scott McLaughlin and Fabian Coulthard followed through to ninth. 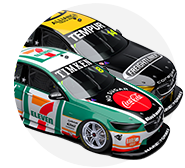 In total, 20 cars recorded a time, a group that did not include Jamie Whincup - who did a single exploratory tour - and Shane van Gisbergen. Lowndes only logged two laps, which left him 18th in the order, as Triple Eight continued to chase steering problems that emerged on Thursday. ARMOR ALL Qualifying, setting grid positions 11-26 and the field for Saturday's Top 10 Shootout, starts at 3:50pm.